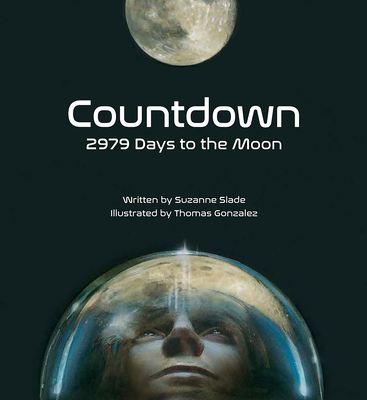 Powerful free verse and stunning illustrations tell the true story of the American effort to land the first man on the Moon. In 1961, President John F. Kennedy announced that the United States would try to land a man on the Moon by the end of the decade. During the two thousand, nine hundred and seventy-nine days that followed his speech, eighteen astronauts climbed into spaceships; three of them died before even leaving the ground. Eight rockets soared into space. And four hundred thousand people--engineers, technicians, scientists, mathematicians, and machinists--joined Project Apollo in hopes of making the dream a reality. Award-winning author and former mechanical engineer Suzanne Slade joins up with New York Times best-selling illustrator Thomas Gonzalez to tell the powerful story of the successes, failures, triumphs, tragedies, and lessons learned from Apollos 1 through 10 that led to the first Moon landing.